Hypnotist & Clinical Hypnotherapist – What’s the Difference? Certified Hypnotist, Consulting Hypnotist & Hypnotherapist – What’s the Difference? Happy Hypno-Friday! Elronn is back with me co-hosting another episode of Hypnosis Etc. on www.CalBanyan.com. Watch this latest hypnosis training episode and discover why there is no significant difference between hypnotist, certified hypnotist, clinical hypnotherapist, consulting hypnotist and master hypnotist. If there is no significant difference, what should hypnosis professionals call themselves? Well … there’s an emerging trend in the industry to adopt “consulting hypnotist” as a universally recognized title since the term “consulting” isn’t a protected title (some states regulate the terms “clinical,” “therapist” and/or “therapy”) and actually describes what hypnotists by and large do. We also explore how hypnotherapists can still do hypnosis, including affect bridge age regression, time tunneling technique or forgiveness work, with clients even if clients are on medication and have a difficult time feeling emotions. If you enjoy learning from these videos, please tell your friends about this helpful resource for hypnotists and hypnotherapists around the world. Remember to check out our Hypnosis, Etc. page on Facebook, at http://www.facebook.com/hypnosisetc. Please “Like” it and this video and get into the conversation. Why there is no significant difference between hypnotist, certified hypnotist, clinical hypnotherapist, consulting hypnotist, and master hypnotist. How there is a national trend to adopting the title “consulting hypnotist” for hypnosis practitioners. How hypnotists can deal with clients who are on medication and have difficult time feeling emotions. Learn about Dr. Dwight Damon’s book, Hypnotic Recollections. 5-PATH® utilizes some of the most most powerful tools available to the professional hypnotherapist. 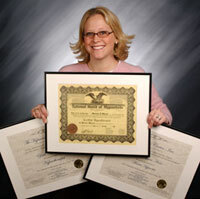 Master 5-PATH® and achieve the highest results in your hypnotherapy sessions. Parts Meditation Therapy™ and More! For a limited time only, take advantage of this 20% discount (over $180.00 in savings!) on 5-PATH® 2.0 Hypnosis Training DVD Program. 2 Reader Comments to Hypnosis Training Video #275: Certified Hypnotist, Consulting Hypnotist & Hypnotherapist – What’s the Difference? Looks like you got so excited about feelings that the video just stopped. Thank you for answering that confusing question. Great Job!